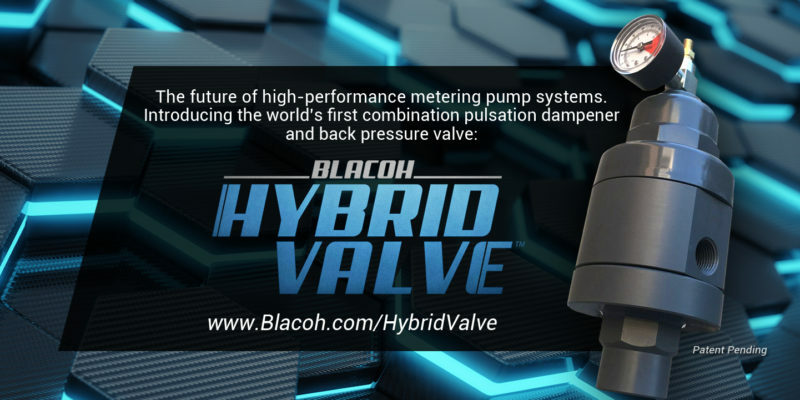 The new patent-pending Hybrid Valve™ from Blacoh combines the steady flow control of a pulsation dampener and the regulation of a back pressure valve to deliver the performance and functionality of both. Why install and maintain two pieces of equipment when the Hybrid Valve™ does the same, only better? Location and proximity are key when installing pulsation dampeners and back pressure valves in any pumping system. A back pressure valve installed in series with a dampener can negate the dampening effect, resulting in inefficiency and chatter. By combining the dampener and back pressure valve into a single engineered unit, we’ve eliminated the most common issues with installation for a more efficient, simplified system.